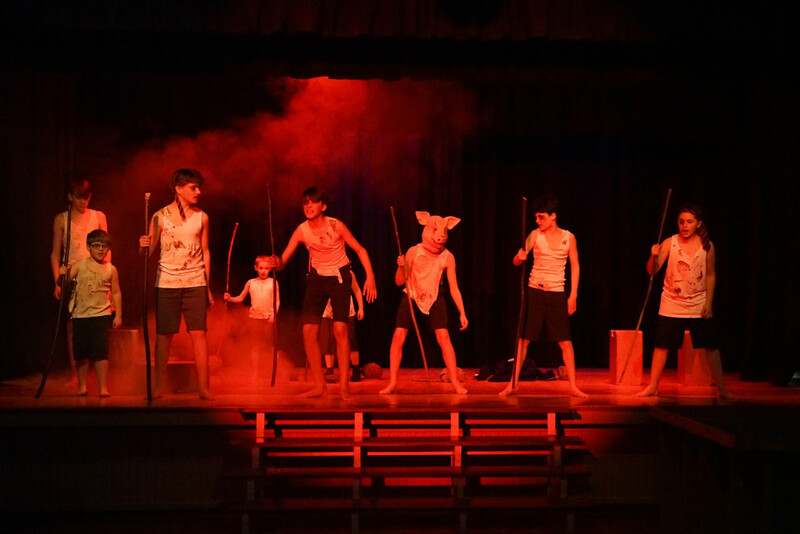 As the centenary of the end of the ‘war to end all wars’ draws closer, the members of Wincanton Youth Theatre have been working hard on a show to commemorate the passing of this significant historical milestone. 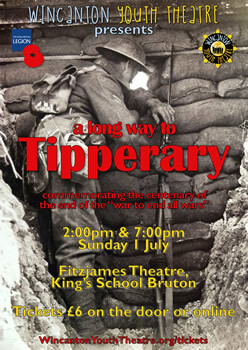 “A Long Way to Tipperary” is a show that includes drama from Journey’s End, two dramas about life at home for women (Canary Girls and Telegram Girl), a little bit of comedy from Blackadder Goes Forth, poetry readings, and some well-known songs and dances from the period. The youngsters have created a moving tribute to the sacrifice of a generation, both on the battlefields and on the home front. All profits from the show will be going to the Royal British Legion Poppy Appeal. 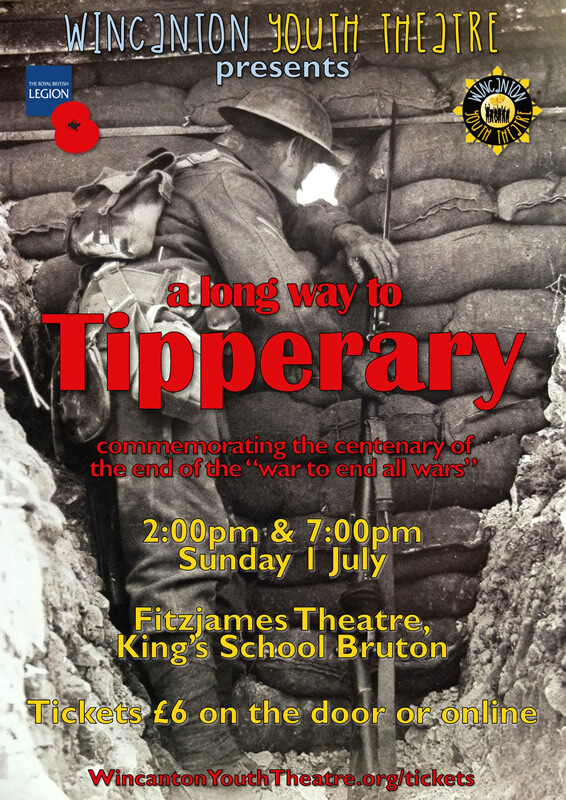 Performances will take place at 2pm and 7pm on 1st July, the 102nd anniversary of the first day of the Battle of the Somme, at the Fitzjames Theatre, King's Bruton. Tickets are £6 and are available online or on the door. 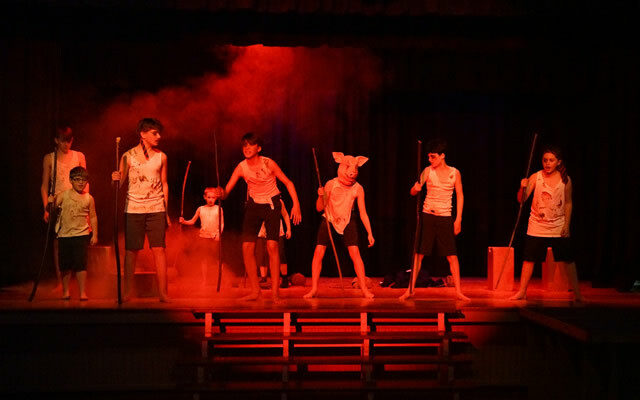 On Saturday 14th April, Wincanton audiences were treated to a fantastic variety of song, dance, music and drama, including scenes from Lord of the Flies and Daisy Pulls it Off. There was also some comedy and, this being WYT, some amazing routines from great West End shows, including Matilda, The Lion King and Chicago. Afterwards, the audience chatted with the young cast, and enjoyed tea and cakes. Now in its third year, with over 40 members, the group is going from strength to strength. On 8th July, auditions take place for the WYT Christmas show, Oliver! Any aspiring young performers should get in touch via the website to find out more: www.WincantonYouthTheatre.org.